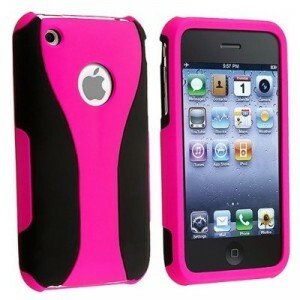 Most Popular Pink iphone cases from Amazon - Oh So Girly! 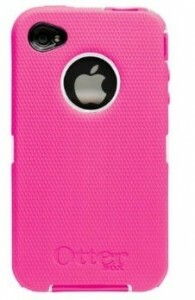 I’ve had a search on Amazon for the most popular pink iphone cases in America and have compiled a list of top 12 pink iphone cases for you. The order was determined by considering their popularity (total number of reviews) as well as how good the reviews for them were. To add a little suspense before we get to the #1 pink iphone, the results are presented in reverse order. When I’ve been playing around with matching outfits on the fun fashion website, Polyvore, I’ve often seen this birds nest pink iphone case pop up in other people’s creative fashion combinations. I think it has quite a funky, trendy, modern look. Girly girls who like cute and kawaii stuff will enjoy this adorable pink teddy bear iphone case . The teddy is not just any teddy; it’s a famous Japanese character (like Hello Kitty), called Rilakkuma. Rilakkuma is very popular in Japan, and in 2010 he was voted the 5th most popular character in the whole of Japan, which says a lot if you consider how many cute characters have been invented in Japan! This simple, futuristic design featuring a gentle pink color gradient made it to number 10 on the top pink iphone on Amazon list. With an average Amazon rating of 4.5/ 5, seems like customers of this item were happy with their purchase. If bling’s your thing, you’ll be happy to know that several sparkly pink iphone cases made the list. Joint at 9th place are these three rhinestone-encrusted iphones: Check out this sparkly hot pink zebra iphone 4 cover and pink ribbon and diamonds case and truly blinging pink rhinsetone case . Looking at this sporty black and pink iphone case (for iphone 3) , the design reminded me a bit of one of those cool aerodynamic sport bra tops you can wear when you’re working out. It definitely has a sporty, girly vibe for me. Wouldn’t it look great with a sporty wardrobe like this? 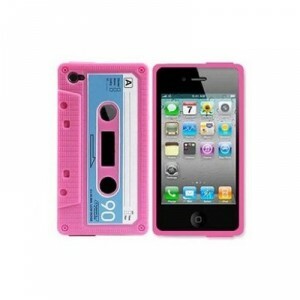 For retro-loving girly girls who also have a penchant for music, they may like this pink iphone case that resembled a cassette tape . It looks like it’s straight out of the 1980s. 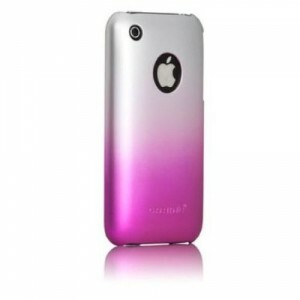 I really like the idea of this girly iphone cover. 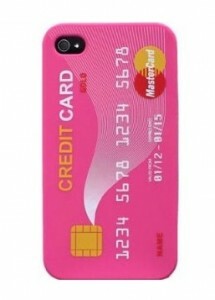 Another cute gimmicky pink iphone I found was this iphone that looks like a pink credit card ! I really liked the creativity of the idea, although since it didn’t have any reviews to go by, it’s not officially an “Amazon’s most popular” iphone case. Is it a gameboy? Is it some other gaming device? No! It’s a cleverly disguised iphone! 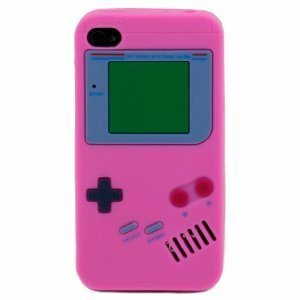 For girly girls who are also into gaming, this retro gamer pink Gameboy iphone cover could be the perfect gift. 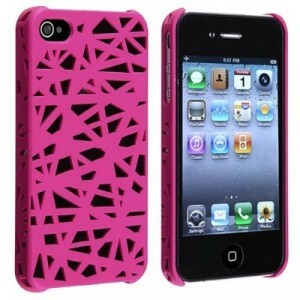 Available as both a hot pink iphone case and a light pink one. 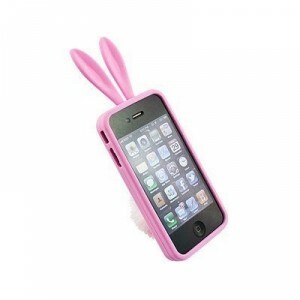 Continuing on the cute and fluffy end of the pink iphone selection is this pink bunny iphone cover case and stand , complete with sweet fluffy tail which can hold up the phone whilst its sitting on your desk. 25 customers out of 36 rated this iphone with a score of 5/5 which is nothing to wriggle your nose at. If you know somebunny who loves bunnies, this may be the perfect iphone stand for them. If you’re looking for a simple baby pink iphone case at a good price, a good option to go for would be the Replicase Hard Crystal Air Jacket Pink Iphone Case . (Note that this case is only for AT&T iPhone 4). At a price of less than $3 and with over 90 customers rating it over 4/5 stars, it seems like this cute iphone case could make a great purchase for those who like a bargain. With a phenomenal 762 reviewers giving this plum pink iphone case a score of 5/5, the number 2 spot goes to the Otterbox Peony Pink iphone case . Its deep pink hues exude a feeling of class and subdued girliness, and with three layers of protection built into this textured case as well as a protective membrane over the touch-screen, it’s built to keep any girl’s iphone safe. Close contenders for this second spot in the category of “deep pink iphone covers” were this Rose Red Hard iphone 4 Case , this Pink Silicone Skin for iPhones which comes with a Tuneband Armband (perfect for attaching your iphone 4 to when you are at the gym, hitting the treadmill) and this glossy CaseCrown Lux Glider Pink iphone Case . 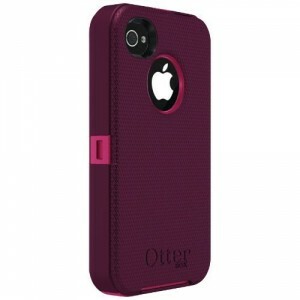 With an astounding 1,114 positive reviews which all rated this girls iphone 4 case with a perfect score of 5/5, the number 1 spot for the most popular pink iphone case on Amazon.com goes to the OtterBox Universal Defender Black and Hot Pink iphone case . Granted that it’s not quite as pink as the others, but it’s sleek hot pink details against the elegant black case give this iphone a stylish appearance. Aesthetics aside, bonus points for for its superior protective functions thanks to its inner felt lining, solid, hard case and screen protector. 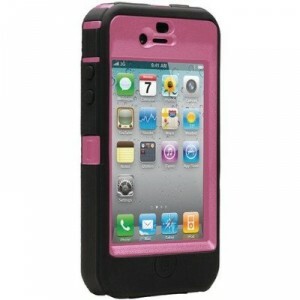 A close runner-up for the top spot was the far pinker OtterBox Defender Pink iphone 4 case (shown on the right). Despite having 1,067 reviews rating it 5/5, the OtterBox Black and Pink iphone case had a slight edge in sheer volume of positive praise. And to be honest, the black one also had a slight edge in terms of my own personal taste. 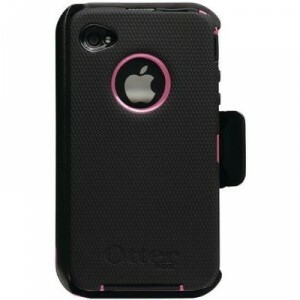 If you’re looking for the iphone 3 equivalent of these top-rated pink iphones, the closest thing out there is probably this Black and Pink iphone 3 cover by OtterBox .